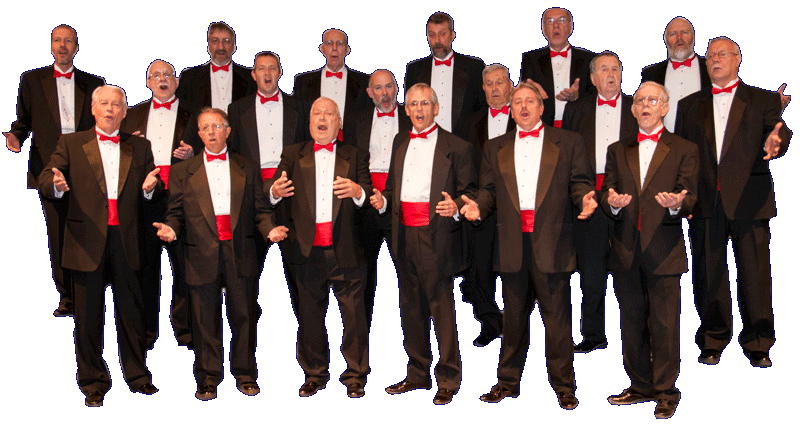 The Flathead Valleyaires Barbershop Chorus meets on Tuesdays at 7:00 PM at Epworth United Methodist Church in Kalispell, Montana. We enjoy singing songs of all sorts in four part acapella (unaccompanied) harmony. We perform regularly around the Flathead Valley for seniors, juniors and people of all ages. If you ever want to get away from your troubles and just sing for a couple hours, we invite you to stop by and sing a few songs with us!!! It will surely bring a smile to your face and a bounce in your step.